We built a Fairy Land! *edit – I wrote this in January and got so busy with life that I didn’t post!! 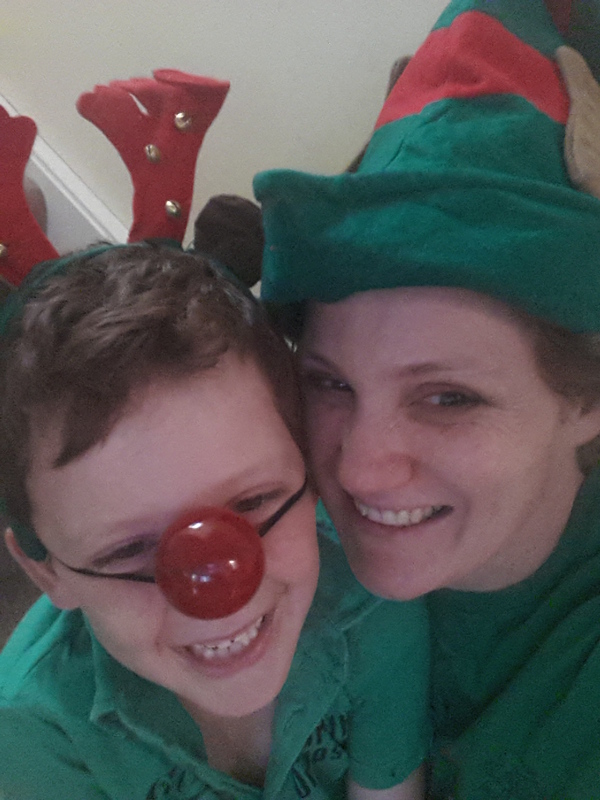 We’re finally hitting the pointy end of the NSW school holidays, and it’s been a good one. We haven’t gone away anywhere, but we’ve definitely been busy visiting family, spending time together as a family, and trying to stay cool in the heat. However, as a parent, you start to run low on energy, and ideas on how to keep the kid s entertained. (side note: thank you, teachers everywhere!) At the beginning of this week the kids were anxious and wanting to do ‘something’. They didn’t want to play with toys (isn’t that typical? Pretty sure there’s a cull coming!) and I had enacted a ‘no technology’ rule because I was sick of them fighting over which piece of technology is cooler and who got what. We have a garden out the front, it’s square, and houses a big gum tree (I dislike the gumtree and it’s desire to drop leaves EVERYWHERE, but we have to have it, and it’s well established now, so there’s no way around it). We recently removed to large hedges from the garden because they didn’t look very nice, and were preventing other hedges from getting sun. So, it left us with a patch of garden. 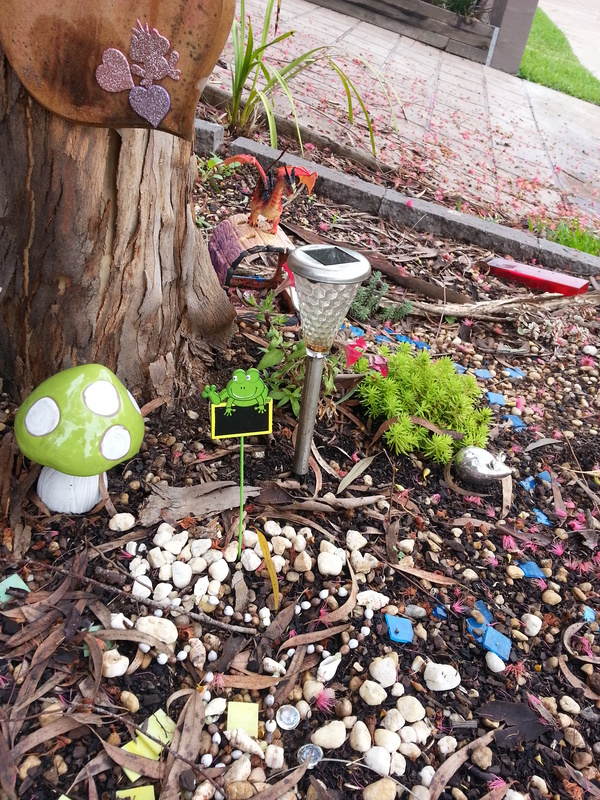 Inspiration struck me on Monday, and I asked the kids if they’d like to build a fairy garden. A resounding YES came from everyone! Off to the hardware store we went! The result was a fun time searching for fairy houses, supplies to make it inviting, and lots of plants!!! Then it was time to come home and get to work! It took us almost 2 hours, and I’m so proud of all my children, as they got stuck into it and had the staying power to finish! We almost lost a few workers, as it was hot, and they didn’t like to wait ‘their turn’, but we made it! The results were so fun!! The kids were extremely proud, and excited, and couldn’t stop talking about how the fairies were going to ‘love it’. Since January, the garden has grown and taken on a really magical feeling. We’ve often caught birds feeding on seeds and having a rest in it. The kids still love to look at it, and imagine what the fairies are doing at night. We’ve also added trinkets and decorations for them…..
and a dragon to keep watch over the baddies! Imagination is such a wonderful thing. I urge everyone to allow your children to express it and to run with it….there’s plenty of time for reality when they’re all growed up and forced to be responsible! Do you have a special place you’ve created with your children? I’d love to see it or hear about it! how to be a reader…..
Are you a reader? Not everyone is a reader, for this I know first hand. My husband isn’t a huge reader, unless it’s the latest “Motor” or “Top Gear” magazine that’s appeared in our letterbox, but I am. I have always loved to read, and I hope that I can instill that value in my children as they grow up. I got my sons report card today for the end of first grade, he still needs to apply himself a little more when it comes to reading and writing. As a person who loves to read and write I am trying not to blame myself for his lack of enthusiasm when in the classroom. His teacher this year has been great, and as I’ve spent time in the classroom, I know she is using best techniques for best results. I just don’t know how to get him interested in writing, being able to use his words he knows, and trying to get him spell things correctly. He has started writing notes to me, apology notes; permission slips; love notes!!! I love this, and hope he never stops that!! We read books nearly every night before bed, and my 6yo has started reading me Dr Suess, it’s fun to hear him reading these, and I’ve been working on him really grasping the concept of the story, rather than relaying the words to me without emotion! What do you do to get your kids to read? Any tricks, hints, tips? Will this just be something that ‘clicks’ in him and he’ll be off and writing in no time? I’m interested to hear from teachers, parents, friends with no kids!! Let me know! 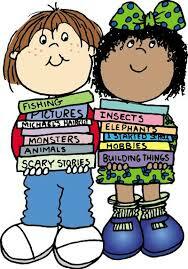 Also, what’s your favourite kids book, to read to them, to have them read, book you grew up with? As we head into the first week of school holidays (tomorrow is the last day of school/care for all of my kids!) I wish you all sanity and self-love! May the forces be with you and the holidays be smooth sailing. I have a feeling we’ll be at the local water park a lot, and the local parks!!! From my family to yours… Merry Happy Holidays!